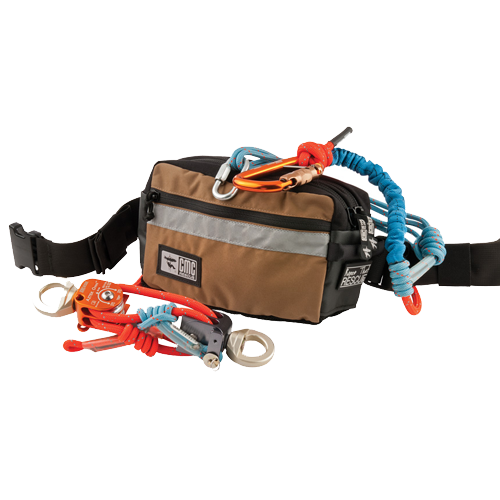 Originally developed by Reed Thorne of Arizona-based Ropes That Rescue, the AZTEK (Arizona Technician’s Edge Kit) is used in worldwide and offers more than 100 rigging solutions in a single bag. 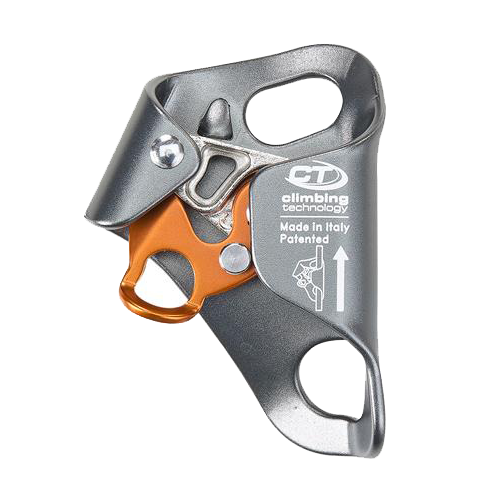 As one of the most versatile tools used in rope rescue, the system reflects the philosophy of keeping rigging equipment simple, efficient, non-specialized, light and small. 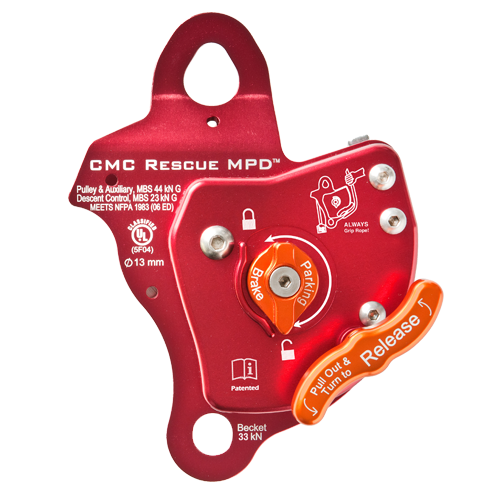 The subsequent design of the new CMC Rescue AZTEK ProSeries System leaves no detail ignored. Each component — from the cord to the pack — was thoroughly tested and proven to work efficiently in this multifunctional system that comes completely pre-rigged for immediate deployment to the field. The CMC Rescue AZTEK ProSeries System was the first AZTEK system to be UL Classified to NFPA 1983 (2012 ED) – General Use, Manufactured System. With 50 feet of 8-mm AZTEK ProSeries® Cord, CMC Rescue’s high-performance 100% nylon blend, the set-of-fours can extend to 12 feet while providing a 4:1 or 5:1 mechanical advantage with a minimum breaking strength (MBS) of 36 kN (8,093 lbf). 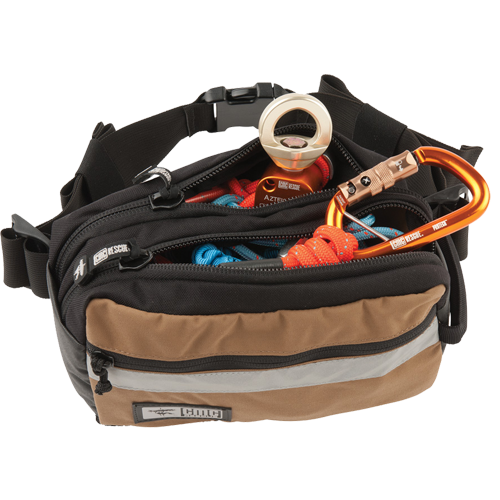 For a personal edge travel-restrict with nearly 50 feet of adjustable travel, attach the carabiner of the personal end of the system to an appropriate anchor and restrict edge travel using the integrated Purcell connected to your harness. The sleeved web edge-pro helps protect the cord around anchors with abrasive surfaces.